When pampering time is over, it’s over! We all need to grow up at some point. Just like a mother bird setting her little birds to fly for the first time with the possibility of a fatal failure, we too must cut off all unnecessary benefit that we pass on to those around us – particularly our kith and kin. The same way a baby is weaned off breast milk, so shall all dependents so as to allow them room to grow. Hand-outs create dependents, dependency weakens thinking and problem solving capacity which if looked at on wider scale actually leads to less prosperity in society. Dependency levels in our society are too high. Support ratio in certain instances can go as high as 20:1. This might not be hard to fathom in a society like ours due to the high poverty levels, the high inequality as well as ours being a society with limited opportunities that are seldom distributed on the lines of a meritocracy. Instead, it’s those with long connections that thrive in Zambian society. What happens to those that are not long enough on connections is very critical in the final scheme of things. Most of the time, these people will tend to seek support from the few well off people around them, and whereas this is understandable for a certain period of time, I am of the view that sustaining this culture of dependency only serves to weaken the beneficiary in the long run. Some kind of tough love becomes necessary at some point. People cannot live off of hand-outs forever. These hand outs make you think less as an individual. When faced with adversity, rather than think up a solution, you will find it easier to run to the one that always helps you. Even if you try to think up a solution, the mere fact that at the back of your mind, you know that there is a last line of defence, you will not act the same as you would if you were in a sink or swim situation. Tough love is as important as any other form of affection, but tough love is particularly important because it builds up the character of an individual. This is something that we seldom practice in Zambia. That’s why many well to do people’s children wind up performing poorly at school and later on in life. Although it is always tempting and perhaps even embedded in our nature to always help our kith and kin, there is always the likelihood that it will leave us worse off. Sometimes, it just becomes too overwhelming to rescue everyone and ultimately you’ll be sucked in, become as poor or as uncomfortable as the rest. There is a concept that others are calling Black Tax. Black Tax is a situation that most Africans have to face where each time you earn money, you have a relative – sibling, mother, father, aunt – that desperately needs some money and they turn to you. Helping out family is a big part of our African culture. But what certain people are saying is that this Black Tax is living us Africans with very little savings to invest in comparison with our white counterparts on the continent. Research has been conducted and conclusions to this effect have been drawn. Paul Egan, Managing Consultant at UCT Unilever Institute of Strategic Management in South Africa says black professionals are suffering more than most in these difficult economic times on the African continent. Of course not everybody is susceptible to black tax, which is to say not every young African out there will end up being pressured into helping family; some will help their poor parents and that’s it, the rest of the extended family will not be considered. There is no doubt that the choice of helping desperate family members at the expense of one’s savings and investment agenda is full of dilemmas. On the one hand, nobody likes to see their family members struggling when they can do something about it, yet at the same time, the choice to help comes with an often huge opportunity cost – foregoing savings and investment plans. Let’s not forget that there is also the added frustration of certain family members seemingly relegating themselves to being an eternal burden on others. That is simply not fair. 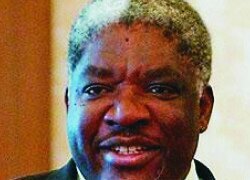 As I write, my mind drifts back to a statement that former President Levy Mwanawasa made when he was still in office; he told a certain group of Zambians not to have children if they could not afford school fees. The man came under serious attack for what he said, but if you analyse it critically, what’s wrong with the statement that he made really? Why would you be so irresponsible as to keep having children left, right and centre and yet you do not have the means or capability to feed them, let alone send them to school. I am sure even the civil society leaders that attacked him understood what he meant as most of them would never just have children without a plan, but such is the level of political discourse in our country. Just attack a President for the sake of it, even if what he is saying makes much sense to you in the privacy of your home. In many ways, Africans have remained behind as a result of this dependency syndrome. Every time you have a problem, the solution is to go and see so and so, and beg them for money. This culture also exists at different levels; some people are poor as a result of getting up early to a pack of Chibuku meanwhile others proceed to work, yet they have the audacity to later come and stand on an anthill and blame the government for their difficulties in poverty – what kind of mind-set is that?! Even this practice of certain mothers who bring up their daughters to find a man to marry them and take care of them; these mothers need to drop that culture. Surely in this day and age, when we have seen so many women achieve so much, the likes of Madam Edith Nawakwi, Chief Justice Lombe Chibesakunda, and Mrs Exhildah Lumbwe, why would you want to teach your daughter that the way to survival is by finding a man to take care of you? Why can’t you tell your daughter those very common words – education is the key to success? Why can’t you tell your daughter that whatever any man can do for her, she can do for herself? Interestingly, I heard a story about a lady I know the other day. This lady was chased from her marital home for whatever unjustified reason – she was largely being abused there. Upon going to her parents crying, asking them to talk to her husband to take her back, her father said he had no issue with that, but he gave her one condition to fulfil before returning her to her marital home. He asked her to study a course. She then committed sometime in her life to study a course. Today, she is a nurse. She is back in her marital home, she earns an income and now has a life outside her marriage. Her abuse at home has also all but disappeared. It’s time that everybody got their last meal. Perhaps only the elderly can be spared. But any able bodied person with time on their side must not black tax you anymore. Let people grow up and learn that life is not about being a beggar, it’s about being productive. This mentality of many Zambians to just specialise in begging the well-off is also not helping our national productivity levels. And there is also a big difference between begging someone for his fish and begging someone to teach you how to fish. Most Zambians beg for consumption, they do not beg to be given an opportunity to provide for themselves. This is so wrong. We all need to carry our own cross in this life. It’s not right to just ride on others’ backs, and it is something that only stands to weaken you as an individual. Difficulties if managed well can be turned into arsenal for success. There truly is such a thing as desirable difficulties in this life. So if you are out there bailing people out and it’s about that time that they got on their own two feet, tell them to say goodbye to the undeserved privilege that they have enjoyed. Again I say, we all must carry our cross in this life, and they must too. Give them their last meal.